Windows 7 Startup Repair know to be very annoying thing. If your computer need to restart by pressing Reset Button or when power outage occurs, on the start we need to select “Start Windows Normally” so how the computer will start. 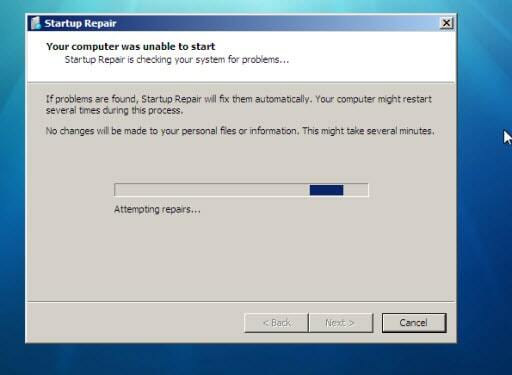 If we don’t press anything the windows 7 will do a “Startup Repair”. Usually when a computer don’t start normally the Startup Repair also didn’t help a lot. So that’s why we show you how to disable this annoying feature. This will disable the startup repair feature. This entry was posted in Maintenance and tagged Repair, Windows 7 by Tome Trajkov. Bookmark the permalink.